An important book for new Christians as well as for those who have been ‘in the way’ for sometime, but have not connected with Jesus. Chris helps the reader identify and jettison the plethora of religious obstacles from the spiritual teachings of Jesus. Lo and behold, the reader discovers that the truth is not religious rules at all, but the Person Jesus. He alone is the Truth. This is not exactly earth-shattering news for many of us, but – unfortunately – it is for far too many Christians. Chris began his book with a survey he commissioned through Barna. The question was carefully designed to grasp just how Christians conceived the word: ‘righteousness’. Whether unwittingly and/or just wrongly taught, many folks have come to understand righteousness in terms of things rather than Person. With a ‘thing’ oriented foundation, the Christian life will be built with lots of judgmental attitude rather than grace-oriented love for others – making for a rather distasteful religious presentation. The author ended each chapter with interviews which, in most cases, creatively expanded and deepened the previous discussion. 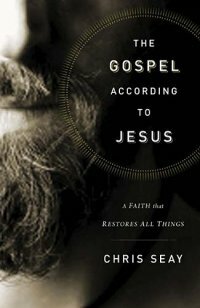 Over all, Seay’s writing style is easy to read and his progression of chapters are laid out adequately to convey his thesis.The gospel of Jesus is all about a change in heart that takes place not through teeth-gritting self-discipline, but through the persistent power of a Spirit-led life. I’ve been looking forward to listening to the CD in this set ever since it arrived in the mail a couple of weeks ago. So, this week, with an 8 hour one-way trip ahead of me, I plopped it into the CD player in my car and was blessed beyond expectations. True, the first session with N.T. Wright had a lot of background noise, but the rest of the sessions were clear. Wrights presentations were followed by Rita N. Brock who inspired me to re-read her book, Saving Paradise, all over again!. The next few sessions with Richard Rohr secured my decision to buy all his books and become a Franciscan monk. To be honest, there were a few other glitches in the CD set – a duplicate session, redundancy of announcements, & discussions where the questions couldn’t be heard. Much of this could be cleaned up and re-mastered, making this a tremendous gift set. Even my 28 year old son found the presentations spiritually engaging. Spencer Burke was the 20th session – and for me, as a pastor, his presentation was worth the price of the whole CD. Except for a few quality issues, this CD set is a ‘must hear’, life-changing treasure. Included in this Volume was a DVD of the sessions. 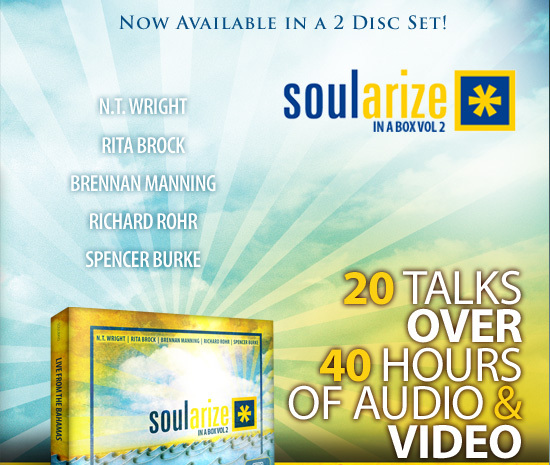 I later watched the Richard Rohr presentations on the DVD without problem – receiving the double blessing. Interestingly, I listened to this whole CD during my travels to, during, and back home from a religious conference and actually found the CD to be more moving then the seminar I went to attend! Buy it, listen to the whole thing, wrestle with the challenging notions presented, and you won’t be disappointed. Unless you don’t get out much, you probably quite frequently bump into people who don’t think their life matters much. That probably applies to all of us at some time or another. If so, here’s a story tailor made for you. Andy Andrews has put together a beautiful gift book that eloquently underscores why each and every life really does matter. The Butterfly Effect takes its name from a rather strange hypothesis presented in 1963 at the New York Academy of Sciences. The ‘thinker’ was Edward Lorenz. The idea, that something as insignificant as butterfly wing motion in one country could lead to something powerful like a hurricane in another, was rejected as silliness by his colleagues. Decades later, though, physicists rescued his hypothesis and gave it the rank of scientific principle. Nothing in life is inconsequential. That is also true of each human life. As someone once said, ‘God don’t make no junk’. Even the so-called Junk DNA turns out not to be ‘junk’. Andrews, through his apt gift for effective story-telling, illustrates how the ordinary person’s life has tremendous, transgenerational influence. Even the seemingly trivial things we say or do can leave a powerful legacy. The salient point of this gift book is that every life really does matter. Including yours. Don’t wait to make this merely a stocking stuffer. Purchase a case to start giving out to folks you meet every day.